With performance and availability monitoring, automatic problem diagnostics and proactive alarm notifications, Applications Manager has always provided out-of-the-box management of Microsoft .NET and IIS Servers. 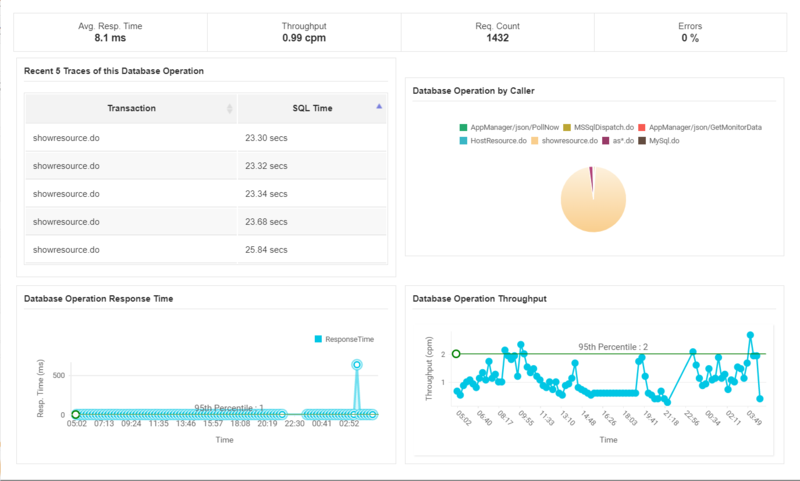 Now with APM Insight, Applications Manager is also a comprehensive solution to monitor the performance of complex .NET Web Transactions from the end user to database perspective. You can now get unique visibility, ability to analyze user-satisfaction and faster troubleshooting of .NET Web Transactions. Applications Manager provides you with wholesome Windows Monitoring - Windows Server monitoring, MS SQL monitoring, Exchange Server Monitoring along with .NET monitoring. Isolate performance bottlenecks and drill down to the offending code. Troubleshooting code latencies and pinpoint the root cause of issues. Real-time visuals of CLR performance and health. With end-to-end visibility into all tiers of your .NET web transactions, you get insight into key performance metrics starting from CLR performance to URLs to SQL queries. You get round-the-clock monitoring that proactively detects performance issues of .NET web transactions, enabling your application teams to resolve problems before end-users are impacted. Maintaining complete visibility into the performance of business-critical databases can be a real challenge - especially when faced with a performance slowdown. 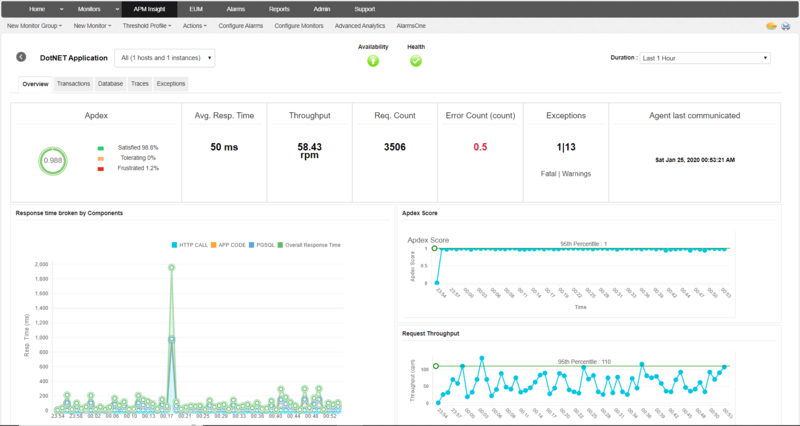 Keep ahead of database issues with APM Insight. Get detailed performance metrics to identify the slow database calls, database usage and overall performance of the database with detailed graphical and tabular representations. Trace details of transactions in minutes. 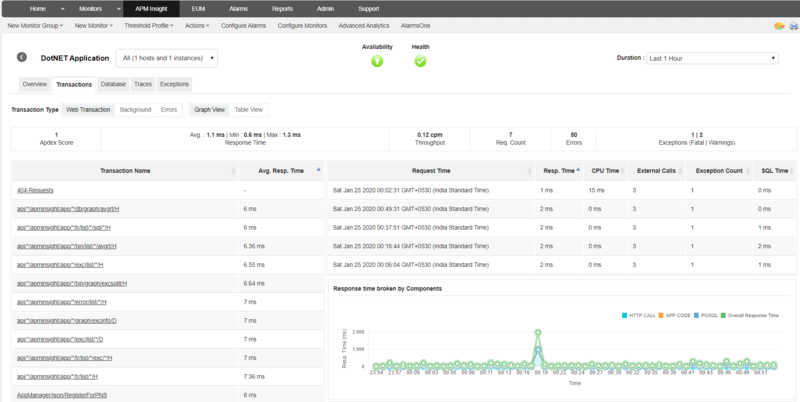 APM Insight lets you trace the execution details for URLs. The trace will chart the sequence of internal invocations (methods) of the URL. You can now dig down into transactions to view exceptions stack traces and SQL queries for slow or failed requests.